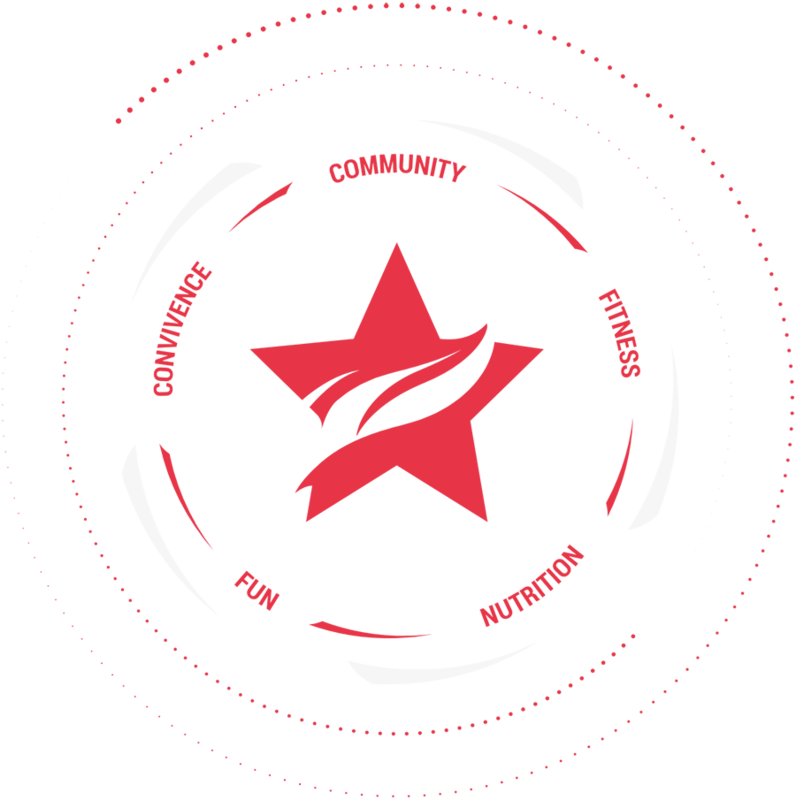 Community is one of the most important things at StarFit™ Studio. We pride ourselves in being a neighborhood gym where clients share an equal passion for our great workouts as they do for our sense of community. Most important, we have created a fun, safe, judgment-free, and caring workout environment. Our classes currently cap at a total of just eight members (compared to other gyms that have as many as 30 customers in one session): this means our clients get a very personalized and tailored experience. At StarFit™ you are not just a member of the gym, you are a member of the family. What makes our classes unique and effective? We aren’t boring! Our ever-changing, interval-based strength and conditioning workouts keep things fun and get you results. Each class session is driven by a visual timer that moves clients through different exercise stations at a fun, fast-paced tempo. We use industry-leading technology — pairing clients with a heart rate monitor to track their key metrics and take the guessing out of fitness. We then use science to get results and allow each member to perform at their very best. Our workouts focus on fundamental movements and exercises that have worked for hundreds of years in fitness. We avoid the trending fads and gimmicky short-term solutions that inevitably fail in the long run. One of the most important and overlooked components of reaching a fitness goal is nutrition. No matter what you do, you cannot out-train a poor diet. Lots of gyms fail to offer any type of nutrition solution, even though a poor nutrition plan can ruin even the best workout. At StarFit™ we offer you a complete solution all in one place. As an additional service, we have an in-house certified Holistic Health Coach and Integrative Nutrition Health Coach who is ready to help you reach your goals today! Lack of convenience is one of the biggest reasons people fail to meet their fitness goals. We know life is busy, so we have created an incredibly convenient system that works on your schedule, not ours. Our classes start every half-hour, allowing you to drop-in whenever is most convenient for you. Use our cutting-edge app or website to conveniently plan, schedule, and buy classes. No long-term contracts! Whether you want to buy a single session, a pack of classes, or an unlimited month, we’ve got you covered with convenient payment options that fit your needs. Unlike some big box gyms, we want you to only pay for what you use. Having fun is at the core of everything we do here at StarFit™. You have enough to worry about in life. Your workout should not just be another tedious chore; it should be a fun distraction from life’s stressors. Whether it’s our welcoming community, our energetic and caring trainers, or our dynamic programing – the StarFit™ system is a fun program that works. We pride ourselves in having created a community and workout that you are excited to come to and we welcome you to come try us out at any time! At StarFit™ we are incredibly laid back, but we do have one rule. The one rule we ask of our clients is that you “Be your reason why.” There is so much noise in the world – books, magazines, media, friends, family, and so on. We ask that you are here first and foremost for yourself and nothing else. If you really want to see results it has to start with you, but don’t worry, you won’t be alone because we are here to support you every step of the way!